Previous versions of this camera have been criticised for the image quality not being up to standard, for the low build quality and the “dumbing down” of controls. It's easy to do, but just for a moment step back and take a look at what you have here. 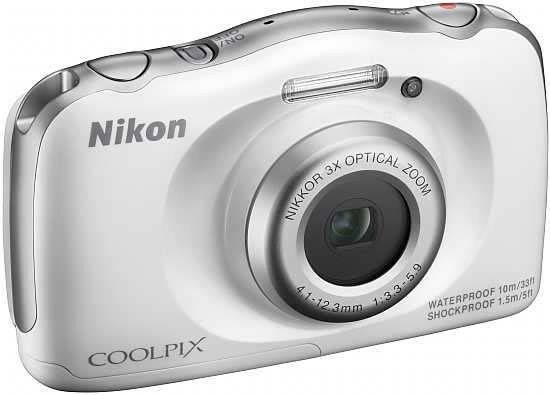 Thie Nikon Coolpix S33 is a sub £100 camera that can go underwater without a casing. It looks pretty good and is so easy to use, all generations from young to old can use it. Areas that Nikon are well known for have been compromised in order to keep costs down. You can't expect to get prosumer quality for this price and that's not what Nikon have set out to do. The sheer simplicity of the camera is a screaming “Hello” at what they set out to achieve with the oolpix S33. When we look at it from this point of view, the camera is actually very well thought out. Is it a simplistic menu system designed to take the thought process out of photography? Or is it an intuitive user interface that will make picking up a camera not such a scary thing for people who don't care what a pixel is and why it's so important? The image quality is low, but the pictures taken on the Nikon Coolpix S33 will likely be posted straight to social media which will squash most of the information out anyway. What is kept at home may be flicked through on the computer or printed to 6x4, maybe with the occasional enlargement. The important thing to keep in mind that users of this camera are more bothered about the people on the picture and the memory it preserves over the amount of focus points and noise reduction facility. That's a part of photography that a lot of people have forgotten and it actually takes using a camera like this to remind us. If you're looking for a camera that the entire family can use without the fear of it breaking; that can be taken snorkelling by the kids and to a wedding by grandma, then the Nikon Coolpix S33 is a serious contender.